“2565”, “5379” and “4099” are regular numbers that can be heard coming from Bill’s office at Brandtjen & Kluge, LLC. To you and me that’s “Medium Red Sucker”, “No.1 Toggle Hook” and “Airbrake Diaphragm”. 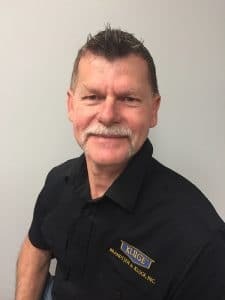 As Kluge Parts Coordinator, Bill is responsible for making sure that Kluge customers get exactly what they need in a timely manner. Bill has been with Kluge since 1987 during this time, Bill has developed a parts catalog in his head. Of the thousands of parts available for Kluge Folder/Gluers or Platen Presses, I am sure that Bill could give you the part number and name of most – from memory! rings a significant amount of experience to Kluge with foil stamping, embossing and die cutting equipment. Chapin owned and operated K.C. Service in Cumby, TX for 22 years prior to joining the Kluge team and has been servicing and repairing Kluge presses for 31 years. Chapin is well-known in the industry and has served as a close partner to Kluge for many years, he is respected throughout North America for his expertise and innovation with Kluge presses. 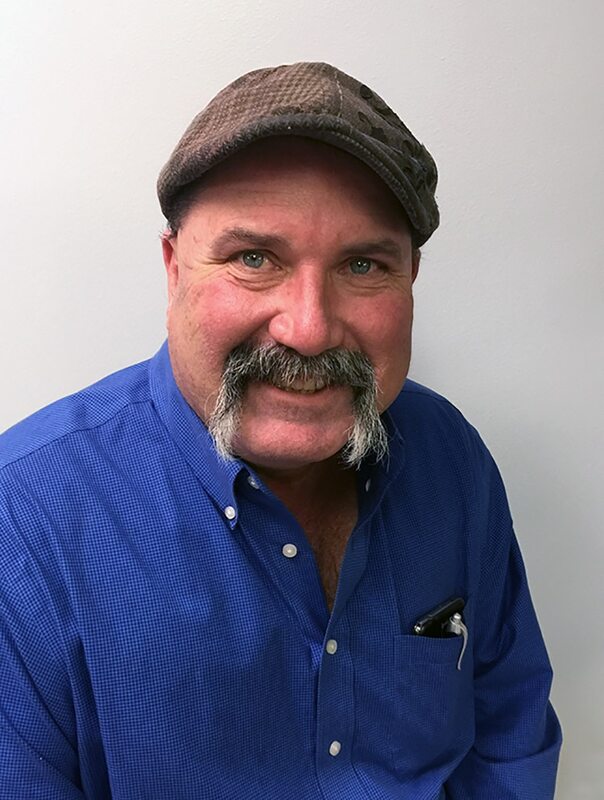 You might say that Kevin Robbins, Parts & Service Manager at Brandtjen and Kluge, LLC is a world traveler. He can tell you how to get anyone to anyplace at anytime – and he can do it all without ever leaving his desk. That’s because at Kluge, Kevin is responsible for handling parts orders, arranging all domestic and international shipments and sending out service people to wherever they’re needed. When it comes to getting a piece of equipment from A to B both domestically and internationally, in the most effective manner, Kevin has your solution. Kevin started with Kluge in 1979. He brought a number of years of supervisory experience from his past employment as a line-supervisor at a magnetic tape head manufacturer. Working at Kluge, it’s the personal level on which the company attends to its employees that Kevin really appreciates. “It’s great that if you have a problem, you can talk directly to the President. Being a small company, you’re not just a number.” Kevin says. When he’s not hard at work, Kevin is enjoying his hobbies as well as his family, especially his seven grandchildren. Don’t hesitate to give Kevin a call, he’ll do all he can to have your equipment up and running in no time. If any Kluge Team member would ‘bleed [Kluge] green’, it would be long time employee, Mutt Wilson. With this said, it is an excellent description of Mutt Wilson, Senior Technical Advisor, Quality Assurance Director, and Assembly Supervisor at Kluge. As an integral part of the assembly and technical service team, Mutt brings a wealth of experience and advanced know-how for Kluge machines and products. He is very active on Kluge’s manufacturing floor, overseeing the assembly and setup of each Kluge machine. In addition, Mutt is a familiar face at Kluge show booths and is very hands-on with live and video demonstrations.